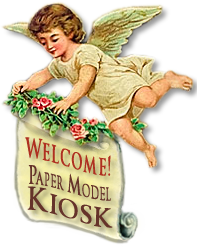 A Premium Download and Printed sheet — a fold-out to display and a miniature to hang on your tree — for a special price! A background of stars, ribbons and bells frames the manger. 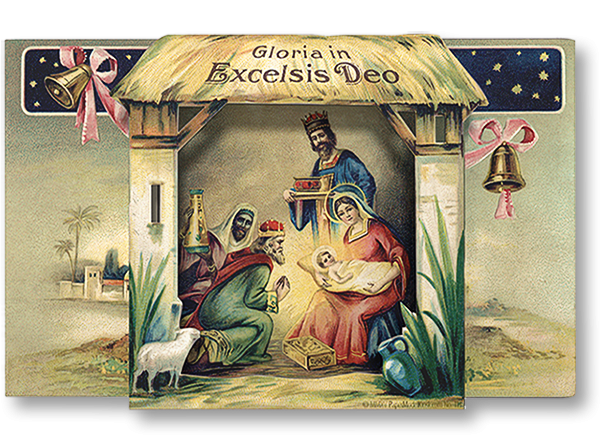 With or without ribbons, this vintage nativity Premium Download offers two versions you can print out again and again. Step-by-step instructions for both the fold-out and miniature versions are included.